He’s the hero D.C. deserves, but not the one it needs right now. Photo: Tom Williams/CQ-Roll Call,Inc. Yet his enemies’ celebration was short-lived. Soon House Republicans were begging Paul Ryan to be speaker, then, over the next few months, Donald Trump went from being a punch line to winning the GOP presidential nomination. Suddenly, the grass looked greener on Boehner’s side of the lawn. But apparently even Boehner can’t escape the chaos of the Trump administration. Axios reported on Sunday that when Congress was working to finalize the $1 trillion bill to keep the government funded through September, White House Chief of Staff Reince Priebus called Boehner and said the president wasn’t happy with the deal reached by Congress. Priebus wanted Boehner to talk the president out of vetoing the bill. 1. He told Trump he should be happy about the fact that he doesn’t have to give a dollar of domestic spending in exchange for increases in military spending. And he got a substantial boost in military spending. 2. The most important argument Boehner made: the last thing you need right now is a government shutdown. Days before he signed the bill, Trump tweeted that America “needs a good ‘shutdown’ in September to fix mess!” Now, we know we can rest easier. 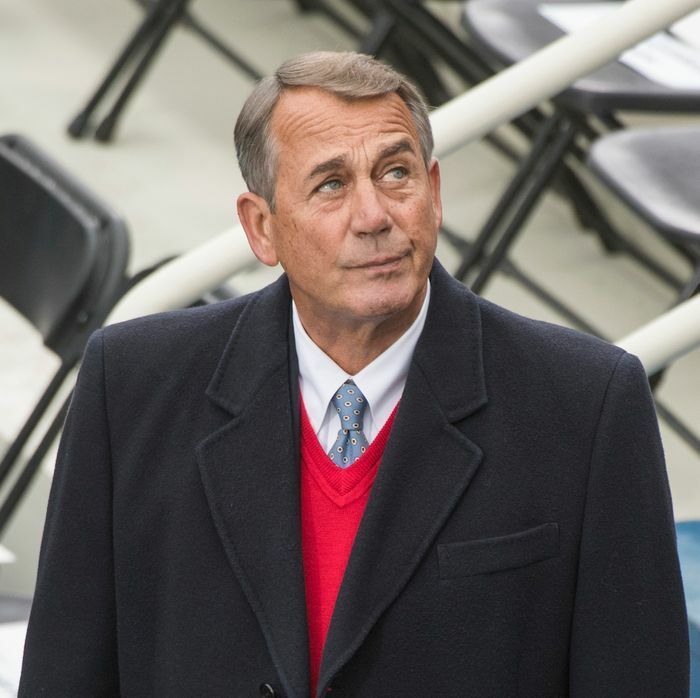 If a shutdown ever needs to be averted, John Boehner will be there.